Bundesliga | Borussia Dortmund's Christian Pulisic: "The Bayern game could be the turning point for us"
Borussia Dortmund's Christian Pulisic: "The Bayern game could be the turning point"
They're without a win in three Bundesliga matches and still smarting after seeing their hopes of advancing to the UEFA Champions League Round of 16 all but ended in Wednesday's 1-1 draw with APOEL, but USA talisman Christian Pulisic is optimistic the upcoming visit of defending champions Bayern Munich could provide the spark needed to reignite Borussia Dortmund's faltering campaign. bundesliga.com: Despite having 30 shots on goal to APOEL's four, Dortmund could only manage a draw. What was missing? Christian Pulisic: We actually played well. We had some good passages of play, but the ball just wouldn't go in the net. We created countless chances, but we only managed to score once. We should have done more. We had to win. A point at home to APOEL isn't enough. bundesliga.com: Were you a bit taken aback by APOEL's equaliser? Did the mood change? Pulisic: We were a bit shocked by their equaliser, yes. You could sense the disappointment. They scored with their first effort on goal. In fact, it was their only real chance of the entire game, but that’s football sometimes. We had enough time and enough chances to win the game. bundesliga: Was the result down to bad luck or is the team too easily unsettled following recent results? Pulisic: I don't know about bad luck, but things haven't quite been going our way of late. That's definitely been the case in our last few games. We're struggling at the moment, but we're not in crisis. That's not something we should be talking about. Instead, we just have to keep fighting and do everything to get back to winning ways. Hopefully our luck will be in in our next game. bundesliga.com: How disappointed are you, now that Dortmund are highly unlikely to progress to the knockout stages of the Champions League? Pulisic: Our Champions League campaign didn't start well. It's very disappointing to still be without a win after four matches. Now we need to make sure we nail down third place, we have to fight for it. That way, at least we'll be playing in the Europa League. bundesliga.com: What needs to be done ahead of Der Klassiker against Bayern Munich? Pulisic: There's something to be learned from every game, even when you're losing. We always work on everything, look at a lot of video analysis and prepare intensively for the next opponent. I think we'll do exactly the same this time – what else are we supposed to do? bundesliga.com: What do you make of Dortmund's current situation? Pulisic: We started well in the Bundesliga, but we always knew we wouldn't go the whole season without some sort of hiccup. Even so, the mood in the camp isn't quite what is was at the start, after the recent games and results. But we have to keep fighting, now we need a good results – preferably against Bayern on Saturday. bundesliga.com: What gives you the belief that Dortmund can get back on track so quickly? 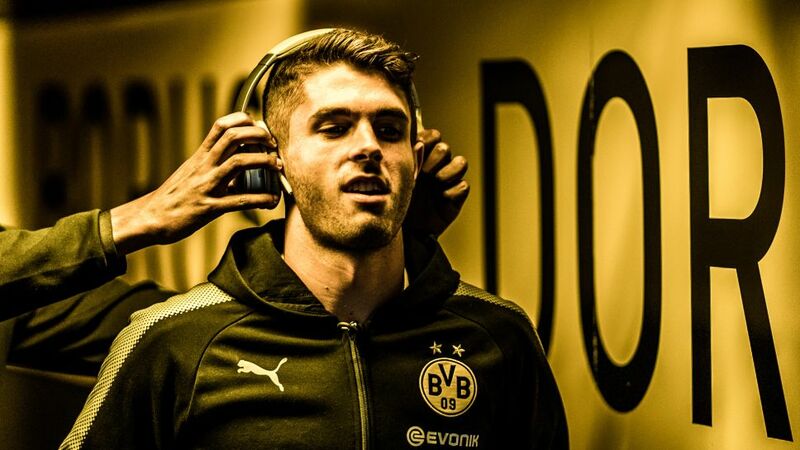 Pulisic: You can lose four or five games and then win the next ten - that's football. We'll keep fighting and won't give up. If we fight, the goals will come. It hasn't been going well, but maybe Bayern will be the turning point for us. Follow this link for the Borussia Dortmund vs. Bayern Munich Match Centre!